Fans at Comic-Con are getting to see the cast of The Walking Dead in person today at the show's Hall H panel, but if you didn't make it to San Diego, you still get to see the best part: the above trailer for Season 4! Starts with Darryl elbowing a glass window to attract walkers. He, Michonne, Tyreese and others go inside a grocery store. There's a scream. Cut to the prison. 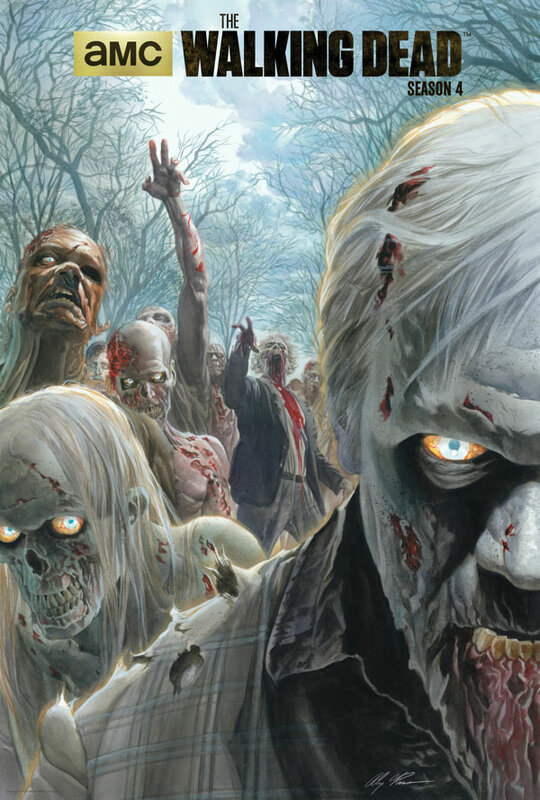 Lots of walkers. People fighing them off. Traps set. Poking them through the fence. Seems like they're barely hanging on there.Walker inside the prison. People getting bit. Someone attacked the cell block. They need to figure out who did this. Dead animals on the ground. A lesson about how to use knives from Carol. People looking exhausted. Hershel wonders if they might be safer outside the walls. "We just lost twelve of our own." Dead might be bait. Rick with this baby. Talk about whether or not they should leave. Daryl and Michonne in a car, about to be atacked. Tyreese just sits in the car for a moment like he's given up. A lot more zombie fighting and killing. Rick telling Tyreese he needs to calm down. Looked like Beth comforting Daryl. Ends with Daryl in the car with Michonne, Tyreese and another guy hearing a signal coming in through the radio. I'm wondering if something happens to Sasha. There's a scene that shows Tyreese looking horrified by something. And then later it just seems like he's losing it. Not good! The Walking Dead, as usual, has pulled out all the stops at Comic-Con this year, releasing a stunning season 4 poster, holding their annual Walking Dead Escape in Petco Park, allowing star Norman Reedus to take over their Instagram Page, and putting some terrifying zombies right in the middle of the action on the exhibit floor, as you can see here. To amp yourself up even more for Season 4 check out that gorgeous poster below, and stay tuned to Kelly's liveblog for all the details you could possibly need from Hall H!